The introduction of a power shower into the home may seem like a small step but it is part of a process which will transform your home with the modernisation of your bathroom. Creating a power shower can be as easy as incorporating a shower pump into your shower system. The bathroom is a room which can easily get left behind as the rest of the house finds its way into the 21st century. If you fall into the category of people who have yet to renovate their dated bathroom, there's nothing to fear. The modern bathroom is filled with simple luxuries, from the power shower to the walk in shower. Here, we take a look at the options open to you as you consider installing a power shower in your home. With all that added water pressure, you wouldn't be blamed for looking for a little more space within your shower cubicle. For the ultimate showering experience, it's hard to opt for anything other than a walk in shower. A particularly great option for those with bigger bathrooms, the walk in shower removes any feelings of claustrophobia while in the shower. Walk in showers are also popular with people who are keen on keeping an array of soaps and shampoos in the bathroom. Where the traditional shower can limit your storage, walk in showers provide more room than you could ever desire. If you've been making use of a shower which is built into your bath tub and are keen to install a separate shower, a corner shower is likely to be your answer. This is a great way to make use of space in a smaller bathroom. A sliding door ensures that the only space you need is that in which you'll shower. If you've got enough room in your bathroom to fit a hinged door to your shower cubicle, you might be keen to look into a frameless design. 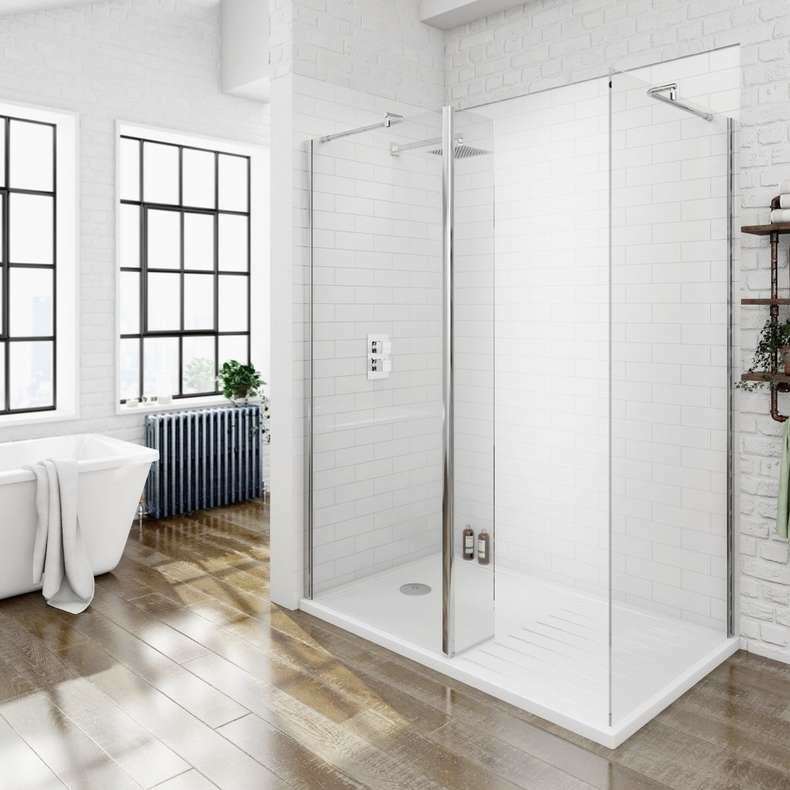 The lack of a frame simply creates a feeling of space and reduces the extent to which you feel separated from the bathroom when taking a shower. Power showers are a great way to improve your shower experience but for those who are used to showering in a bath tub it's still worth being aware of the extra power. Unless you're turning your bathroom into a wetroom, you will usually want to keep the amount of spilled water down to a minimum. This can be hard to do with a power shower in a bath tub. If you're keen to hang onto your shower and tub combination, rather than opting for a dedicated cubicle, it's wise to fit a more permanent means of keeping the water in – such as a fixed shower screen rather than a shower curtain. 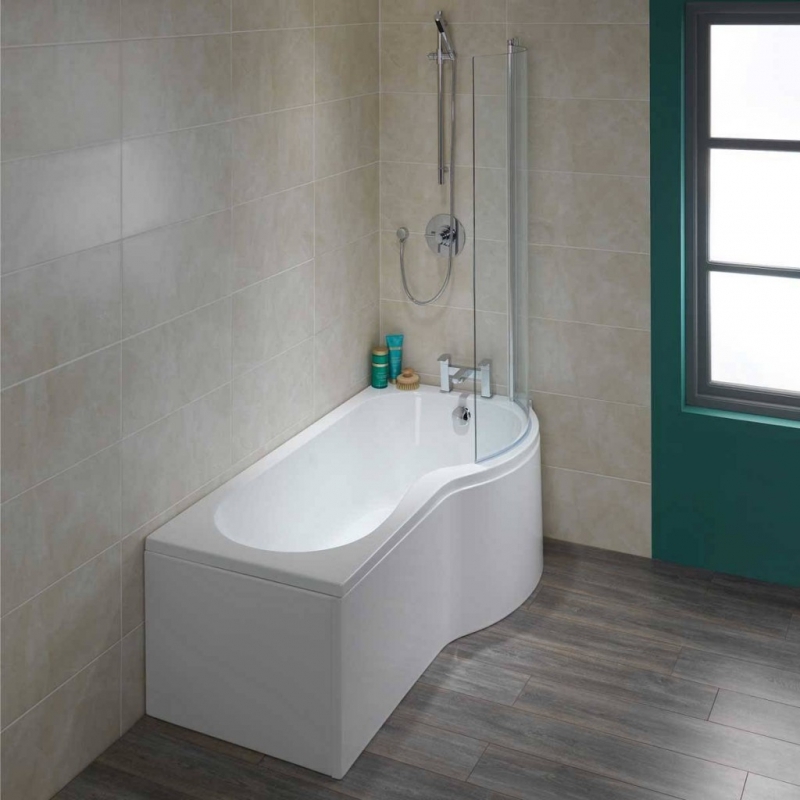 A P-shaped or L-shaped bath is a superb option here. Do I need a shower pump? Buying a shower? Find out whether you need a shower pump and which one you should buy with our handy guide and infographics. If you're suffering from low water pressure, find out which shower pump can help boost your flow rate for your shower or even your whole home.